One of the pleasures of promoting your book is meeting book clubs. Many have remarkable histories. For example, the Six and Twenty Club of Wilmington, Ohio, has been meeting regularly since 1898. 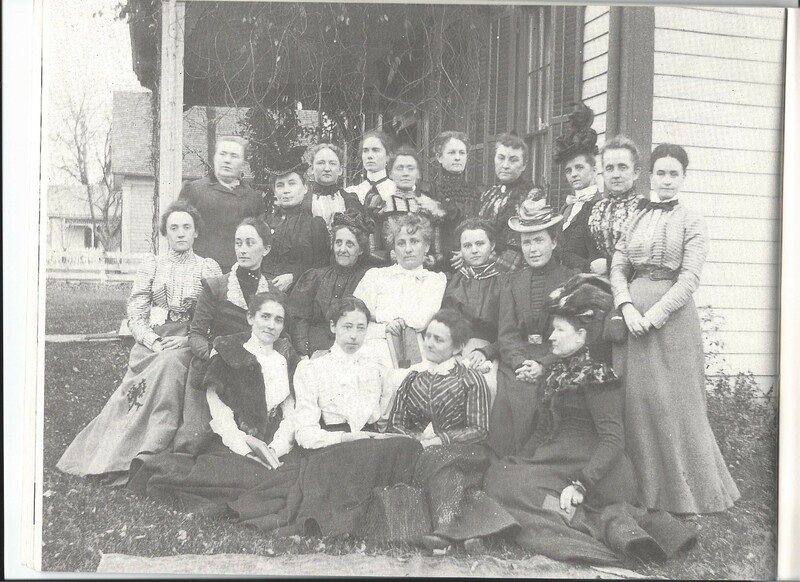 Here is a photograph of the club in its first year (1899). Why the name? Because they meet every other week (26 weeks/year) and there are always 26 regular members. Some in the current group have been “Six and Twentyers” for 50 years. 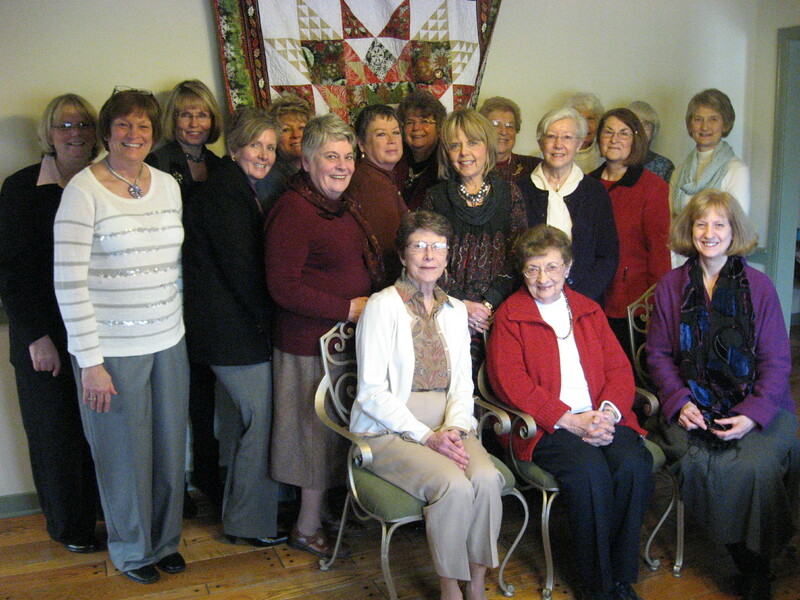 I think of all that has happened since 1898 and every two weeks, a slowly evolving group of women has been living their lives, sharing triumphs and challenges, and reading together into their third century. To be part of this passage is an honor and a joy. Pamela Schoenewaldt, historical novels of immigration and the search for self in new worlds: WHEN WE WERE STRANGERS, SWIMMING IN THE MOON, and UNDER THE SAME BLUE SKY (all HarperCollins). ‹ Down with the hyphenates! Sunday, May 6, 2pm reading from latest work at Hexagon Brewing Company, Knoxville, TN. Thursday, May 10, 6-8 pm presentation on research on the historical novel, Blount Count Library, Maryville, TN. When We Were Strangers, Italian translation, tp rot be sented in Pescasseroli, Italy, August 2018.